Solvent fractions and decoction of Eleusine indica leaves were tested for their ability to inhibit angiotensin-converting enzyme (ACE), an important component of the Renin-Angiotensin- Aldosterone System which is a critical regulator of arterial blood pressure. 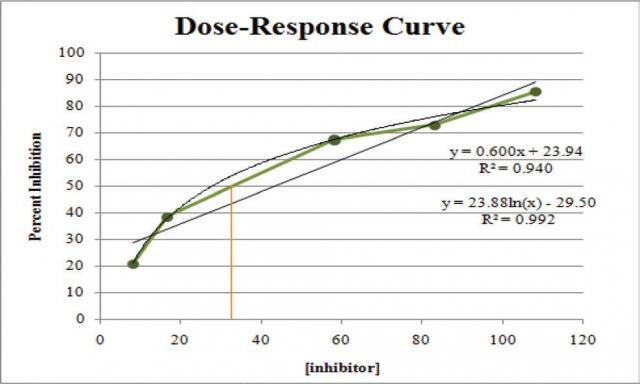 The ACE inhibitory activity of each fraction was measured by employing a colorimetric assay based on the hydrolysis of histidyl-hippuryl-leucine (HHL) by ACE. Preliminary assay results revealed that the ethyl acetate fraction exhibited the highest antihypertensive activity with a percent inhibition of 51.51%. This fraction was considered for further isolation using a bioassay-guided fractionation scheme. Tutor JT, Chichioco-Hernandez CL. Angiotensin-Converting Enzyme Inhibition of Fractions from Eleusine indica Leaf Extracts. Pharmacognosy Journal. 2018;10(1):25-28.